None at the moment, sorry. The code is too messy. 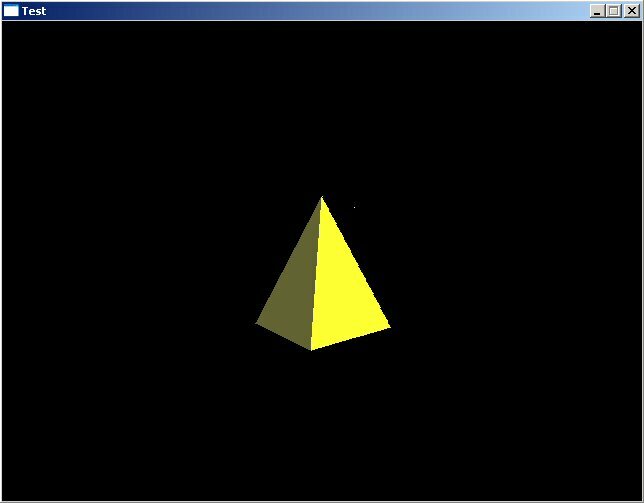 I started this project because I was bored with OpenGL, I wated to do something with 3D math instead. I bought book a few years ago "Black art of 3D game programming" by Andre LaMorte and I thought why not make a software renderer in SDL. It can't do much at the moment, but Im hoping to add more and more to it (when I get time off school that is). Im currently working on textures, just made a small TGA loder/saver that Im using. All I got for you this far is a few screenshots, the code is to messy to give out at the moment but it will come when it's done.